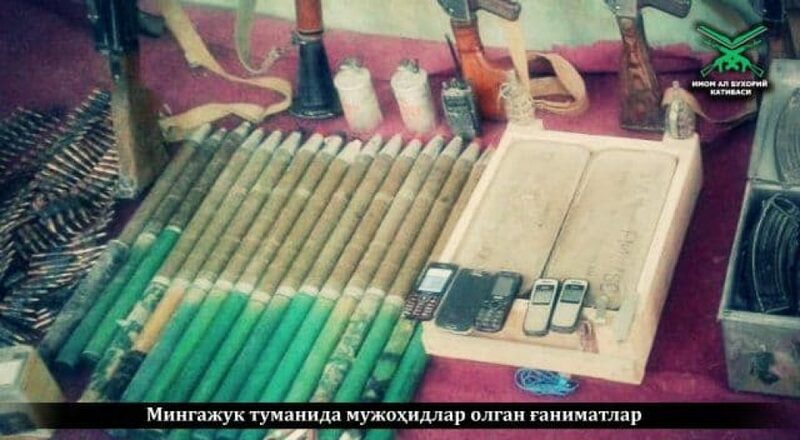 Katibat Imam al Bukhari (KIB), an Uzbek jihadist group also known as the Imam Bukhari Jamaat, released photos earlier today of spoils taken from overrunning Afghan military posts in northern Afghanistan. The group claims the operation was part of the Taliban’s larger offensive taking place throughout Afghanistan. 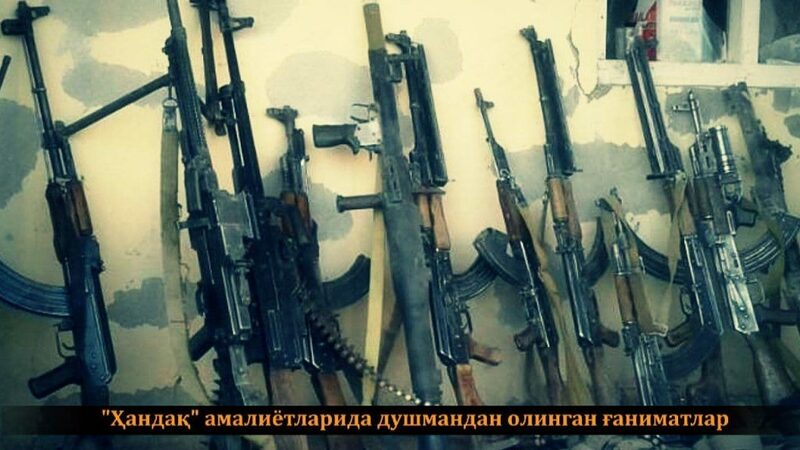 The jihadist group did not specify where the operations took place, however, KIB is known to operate in Faryab and Jowzjan, where ethnic Uzbeks constitute a large portion of the population. 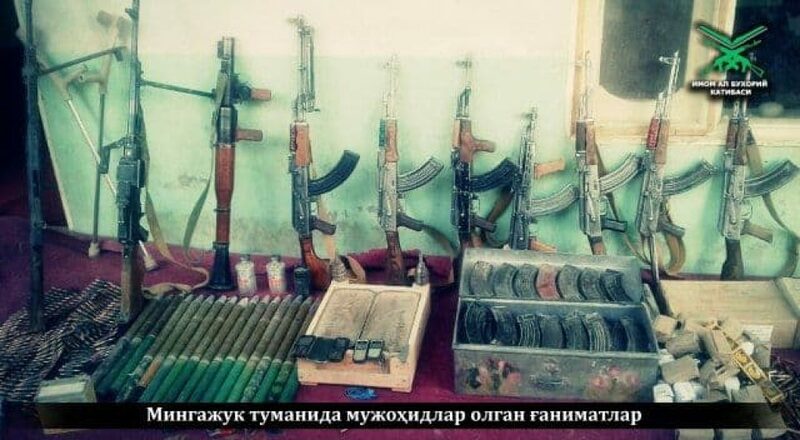 The photos show two KIB militants posing with captured small arms, including Kalashknov variants, rocket-propelled grenade launchers and PK machine guns. 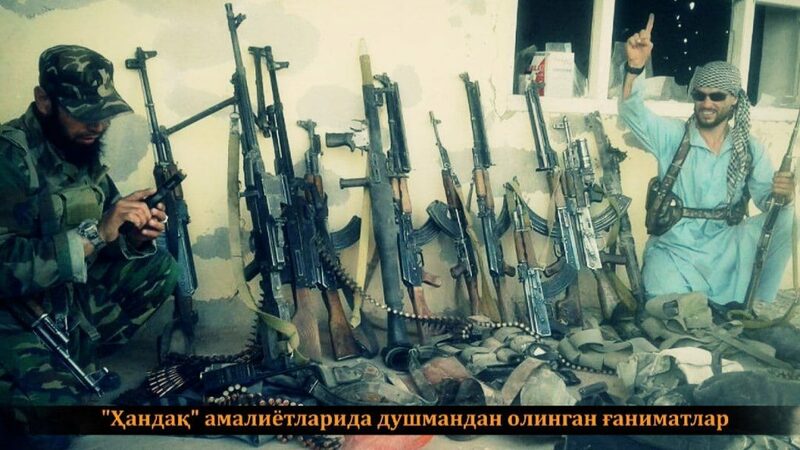 The photo series is the second this month to show captured weapons after overrunning Afghan positions. 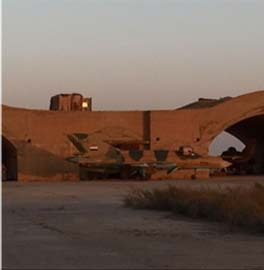 Earlier this month, two other photos showing similar weapons were also released by KIB. Those photos, much like the ones today, also did not specify the exact location, but the raids likely took place in either Faryab or Jowzjan. In January of this year, KIB released a video of its operations in Faryab. The jihadists are seen assaulting a remote Afghan military base somewhere in the province. KIB has steadily increased its propaganda output from Afghanistan over the past two years. In 2016, the group released two videos from the northern part of the country depicting training camps for both general indoctrination and lessons on the manufacturing of IED’s, along with combat footage. One video only showcased IED attacks, while the other focused on the capture of an Afghan outpost. 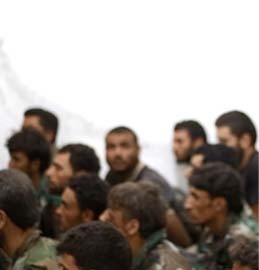 KIB has also played a prominent role in northwestern Syria fighting alongside al Qaeda’s and other jihadist forces there. 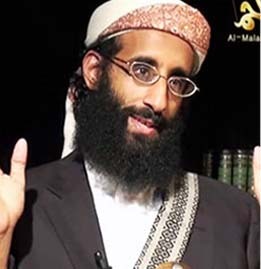 Prior to his death last April, RFE/RL confirmed that the Syrian wing was led by a veteran of the jihad in Afghanistan who was sent to Syria by the Taliban and Sirajuddin Haqqani, one of the Taliban’s top deputies and leader of the powerful al Qaeda-linked Haqqani Network. 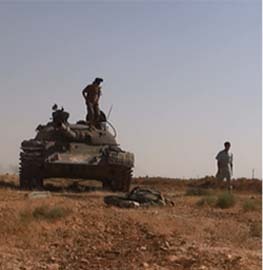 KIB took part in the al Qaeda-led 2015 offensive that took over Idlib Province, as well as the al Qaeda-led offensive in the southern Aleppo countryside and renewed clashes in Latakia in 2016. It has also advertised its training camps in the country, including at least two for children. Both of of KIB’s Syrian and Afghanistan branches swear allegiance to Mullah Akhundzada and the Taliban. KIB identifies itself as part of the Afghan Taliban as it refers to itself as the “Islamic Emirate of Afghanistan – Katibat Imam al Bukhari,” a link to the official name used by the Taliban. 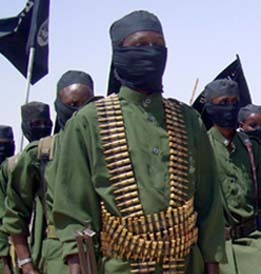 KIB has also been linked to other Uzbek jihadist groups in Afghanistan, namely the Islamic Jihad Union and the Islamic Movement of Uzbekistan. Yet another reason why the “ZOMG Russia is funding the Taliban ZOMG!” narrative is patent nonsense. The last thing Russia wants is more instability in Central Asia,a nd the Taliban are nothing if not a source of that instability. But the editors here don’t seem to like what I have to say. What is more important in world history? 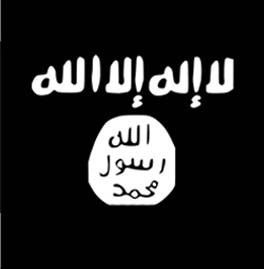 The Taliban or the collapse of the American empire? Some agitated Moslems or the liberation of Central Europe?